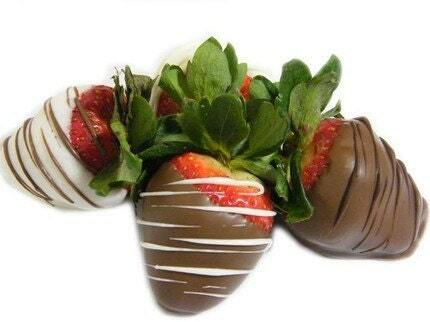 "These gourmet dipped strawberries taste like heaven in your mouth. You won't believe how the mixture of sweet, tangy strawberry works with the creamy texture of the chocolate! This is a sample set come with 4 medium sized strawberries."